The organisation and collection of wildlife hunting statistics and their analysis is essential not only for hunting management but also for developing wildlife policies. On a large spatial scale hunting data statistic are available and, potentially, comparable across Europe for use in the predictive spatial modelling of wild boar abundance. But the procedures, methods and type of data collected concerning hunting bags (official statistics) can show a great heterogeneity between countries and regions. At present, each country and organisation collects hunting data using its own different procedure, and acquires different types of data that are later implemented in different repositories with variable accessibility: this hampers the comparison and common use of data across Europe. 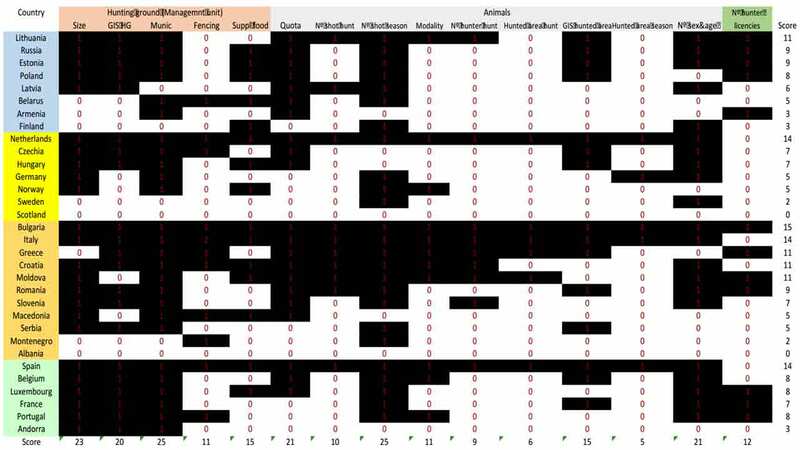 In order to assess this heterogeneity and capture an image of how different countries collect this information, a questionnaire was distributed in order to be able to compare the hunting data collected and to propose a common framework for future compilation. For the analysis, several variables and different levels of spatio-temporal aggregation of data (e.g. hunting event vs. season; municipality vs. hunting ground) were selected. Fifty-seven respondents representing 32 countries covering more than 95% of European territory participated to the questionnaire. We would be grateful if you could supplement the information and send us new information on those countries or regions not covered in this report. The most frequently recorded information in the official statistics included the quantity of animals shot per hunting ground and season (24 countries) and the size of the hunting (management) ground (21 countries). Georeferenced maps for the hunting grounds were collected (total or partial) for 20 countries. The least frequently recorded information was at the level of hunting events. 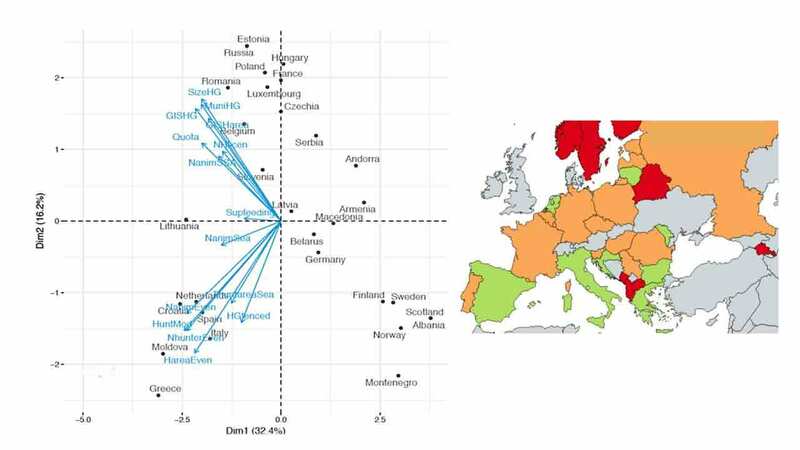 Through the use of multivariate analysis, it was possible to identify the similarity in the data collection strategies of the different countries. the coordination of the collection of hunting statistics must be achieved first at national and then at European level. the data should be collected at the finest spatial and temporal resolution, i.e. at hunting event level. 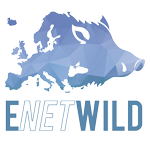 The present report identified some countries where, though the potential to share good quality data is present, the data collection promoted by ENETWILD has not succeeded so far (i. e. Eastern Europe). This highlights the need of further strategies to be developed so to encourage and support these countries to share hunting data. ENETWILD Consortium, Vicente, J., Plhal, R., Blanco‐Aguiar, J. A., Sange, M., Podgórski, T., … & Keuling, O. (2018). 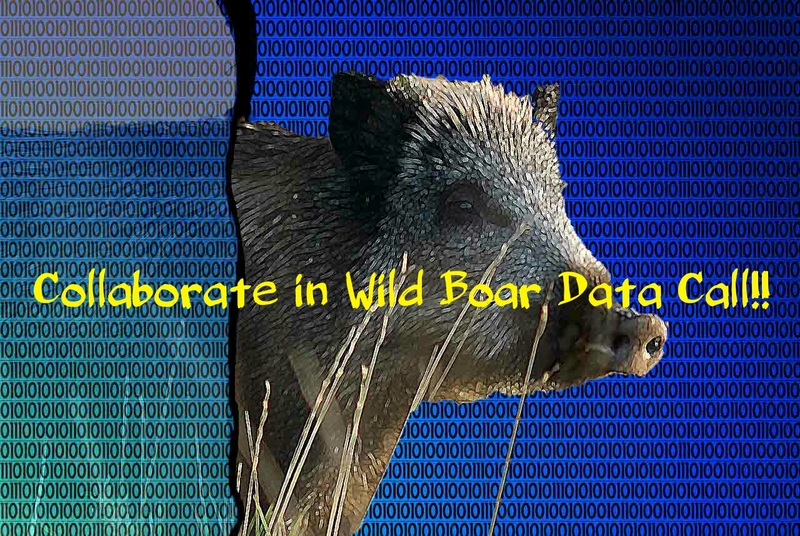 Analysis of hunting statistics collection frameworks for wild boar across Europe and proposals for improving the harmonisation of data collection. EFSA Supporting Publications, 15(12), 1523E.